Thank you for those who prayed for the Crowders. I received an e-mail this morning saying they arrived safely. It took quite a bit longer than they expected. A 31 hour trip turned into 2 days. They were tired but arrived safely. I did this quick sketch painting Saturday while Grady fished. It was interesting timing because this is actually a picture Beverly gave me of the plane they fly in on once they get in Africa. 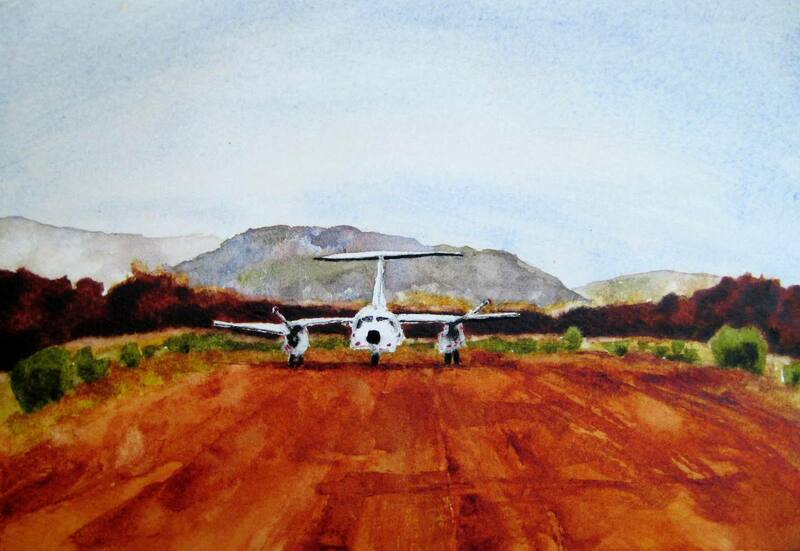 You can tell by the painting that it’s quite small and the runway isn’t exactly paved. So this painting is for the Crowders safe arrival.